Earlier this year I was invited to the house of the lords in London and that was a very what am I doing in the house of the lords. I was remembering that 43 years before I was sitting on the river bank of the river Thames completely confused about the where I was going in life or where the river of destiny was going to leave me and now I am giving lecture just across the river in the parliament but I spoke so many things but I got a loud ovation when I said one sentence and it really moved me because I thought this is just a sentence of common sense for everyone Ajay you were there and Srinathji and Dr. Desai you were there . O it was a beautiful event actually green room or something like that but the statement that they applauded because these are lords ,and ladies, and princes there were dukes and Dutch’s and very big entrepreneurs and entertainers from west minster area and there were member’s of parliaments very affluent people but they applauded and afterwards dozens of people came to me and said “This one sentence has completely transformed their way of looking at life” may I share it with you it’s very simple I happen to say “You can tell how rich you are by trying to find out how many things you have that money cannot buy” that’s love. Money can buy a lot of things but it can never buy love. Only love could buy love that is the greatest inheritance that we have to find that and to share that to the world is the leadership that we are all crying for – Radhanath Swami. Life’s profound truths are often so simple. 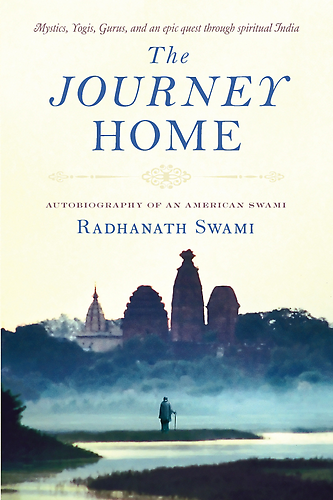 Earlier this year, Radhanath Swami spoke at the House of Lords. A statement he made there, a simple statement, received a loud applause. He defined what’s real wealth, real richness. If only we could recognize the simplicity of life, our life could be more meaningful and fulfilling. 14 Responses to "How rich are you?" So simple – yet it takes a great devotee like swamiji to make us understand this basic fact of life . very true :)..Inpiring article thank you for sharing :). A must hear!! We must always hold the basic guiding principles of our life. Maharaj is so great to make us realise them again and again. Lord Krishna is the supreme Lord. He showed richness of two things 1) Natural Atmosphere 2) Sweet loving relationships. 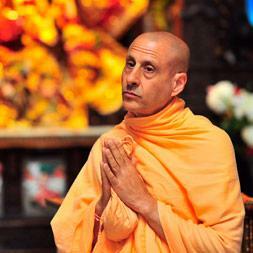 Radhanath Swami nicely describes how love cannot be bought by money. Only love can buy love. Real richness if the richness of the heart. True. Radhanath Swami Maharaj always emphasizes on this.